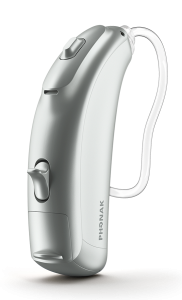 March 2017 saw the release of the Bolero B range of hearing aids from Phonak. Bolero B joins the Audeo B and Virto B Titanium to the Belong family of hearing aids. 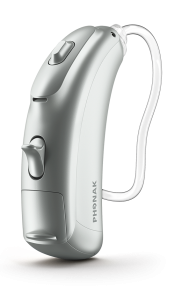 Bolero B is a conventional Behind-The-Ear (BTE) hearing aid packed with the latest technology from Phonak. 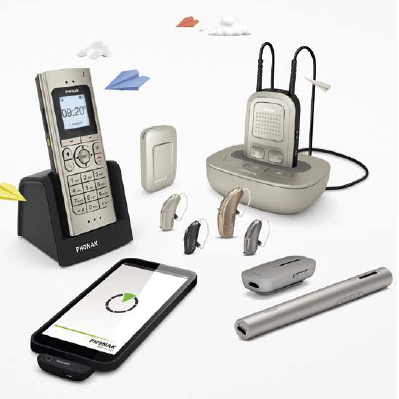 Bolero B comes with the latest technology from Phonak including the groundbreaking operating system AutoSense OS for automatic and superior hearing clarity in a wide range of listening situations including noisy places such as restaurants. Never change batteries again. 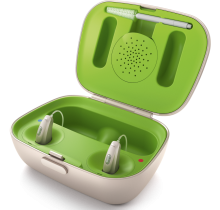 The Phonak Bolero B-PR has an integrated lithium ion battery that can provide up to 24 hours of listening on a single charge. 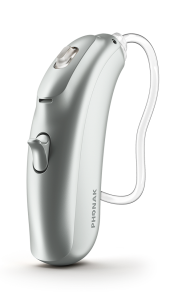 The Bolero B-PR is an ideal option for certain hearing aid wearers: those who are unable to physically manage changing batteries at regular intervals and those who absolutely rely on their hearing aids and cannot afford to get half way through their day or an important meeting and have the hearing indicate to them that the battery needs changing. With 24 hours of listening on a single charge, this is no longer an issue. 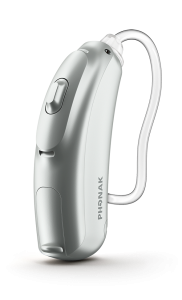 All you have to do is to charge the hearing aids each evening at the end of your day like we do with other devices such as your mobile phone. 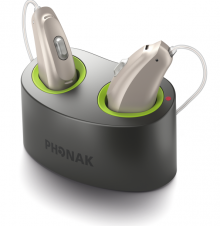 Phonak Power Pack: attaches to the Charger case and stores enough power for up to 7 full charges of a pair of Bolero B-PR hearing aids. 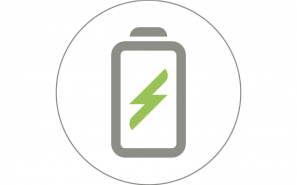 This means wearers who are not always close to a convenient power source are covered.